Using the correct hardware for your organisation will make it more efficient and help you grow your company. We will advise you on the correct devices for your users’ needs, get them installed for you and make sure they are up and running when you need them. The right device for each of your team members is what you want. We advise on the right laptop, mobile, desktop or tablet computer and how to make best use of them. From iPads to Surface convertibles, your options have never been more diverse. GMA can also help you integrate them with your existing IT equipment. Any bespoke applications you need to make the most them – we can deliver that too. With our advice, you do not have to make a choice to use one system or one company’s options. We can show you how to use Microsoft services with your iPhones or Google Apps in a Windows environment. It is all about the right solution for you. Make informed decisions. We can advise you on the correct devices for your business. Virtualisation: Modern servers are powerful and can handle multiple tasks all at once. So instead of one physical server for your files, another physical server for your email and so-on, you can virtualise these two servers into one physical server. Less energy, less to maintain and you are making full use of your equipment. It also allows for less downtime on maintenance procedures and offers much more for your disaster recovery plan. If you need an on-site server, then talk to us. We will look at your business requirements and give you the options you need. 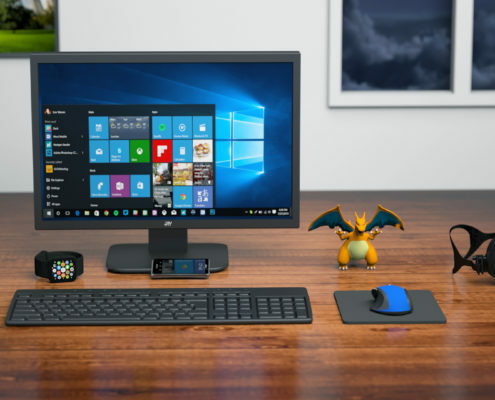 We work with the major providers of Windows servers and can install MacOS (previously OSX) servers as well, ideal for organisations that need Apple computers or work in mixed environments. 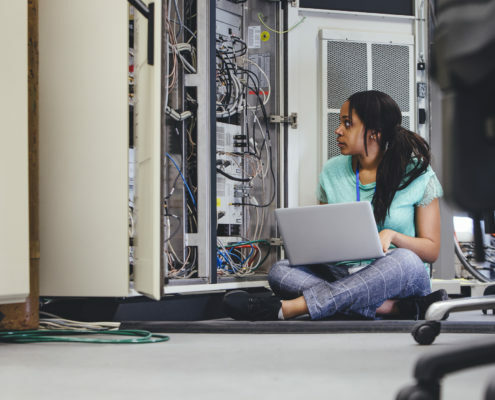 With a virtualised environment, we can make more efficient use of your existing equipment, or our carefully selected refurbished servers could provide a cost-effective route to expanding your IT systems. Our knowledge of the regulatory requirements of many professional services organisations means we can talk to you about the options for hybrid cloud systems, considering your requirements on data retention and privacy needs.